Location: Bigege village, Bogetenga Sub-location, South Mugirango Central Location, South Mugirango Sub-County, Kisii County. It is with humble acceptance of God’s will that we announce the passing on of our beloved mother Rosalia Sarange Ogendo which occurred on Wednesday 25th April,2018. Wife of the late Albanus Ogendo Ongesa. Co-wife of Maryand Rebecca. Daughter of the late Leonard Nyakangi Omooria and the late Marcellah Nyakangi of Nyabigege village, Bosinange. Sister of Rebecca, Pauline, Susan, Siocha, Omooria and Mong’eri. Mother of Susan, James, Eng. Raphael Ogendo (N.I.B Nairobi), Jared, Robert, Agnes, Jane, Josephine, Richard, Walter and Hon. Evelyn Ogendo (Kisii County). Step-mother of Gladys, Casper, Felix, Simon, Cleophas, the late Tobias, Verah, Florence, Lilian, Nancy, Evans, Caroline, Innocent, Bernard, Betty, Lucy and Peter. Sister-in-law of Mokeira, Keremensia, the Late Nyamaiya and Nyamwange. 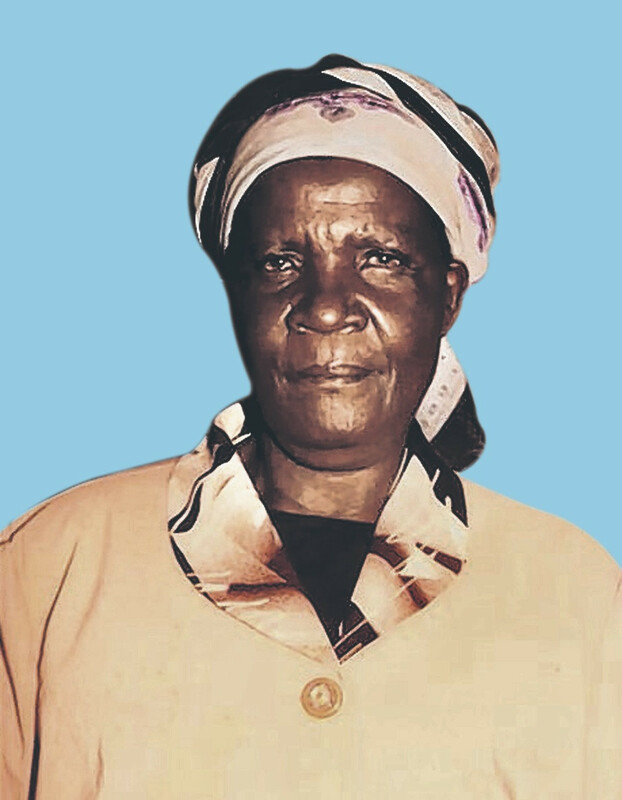 Mother-in-law of Tom, the late Momanyi, Agwata, Gekonge, Joram, Ogeto, Odero, Gilbert, Innocent, Irene, Edith, Teresa, Correntine, Rose, Rachel, Alice, Muthoni, Naom, Gladys, Juster, Caroline and Mourine. Niece, Cousin, Aunt, Grandmother, Great grandmother and friend of many. Friends and relatives are meeting daily at her home for funeral arrangements.There will be harambees to assist in settling hospital bills and funeral expenses on Tuesday 8th May, 2018 at home Nyamarambe, Kisii Hotel Kisii town,Rigena Hotel Nakuru town and 680 Hotel Nairobi. The cortege leaves ChristaMarriane hospital mortuary on Thursday 10thMay, 2018 for a requiem mass at Christ the King Catholic church Nyamarambe.Funeral service will be held at the same church,on Friday 11th May 2018 starting from 10.00am followed by burial at her home Bigege village, Bogetenga Sub-location, South Mugirango Central Location, South Mugirango Sub-County, Kisii County.